The Kurdish YPG has been a U.S. ally in the fight against the jihadists and it controls swaths of northern Syria. 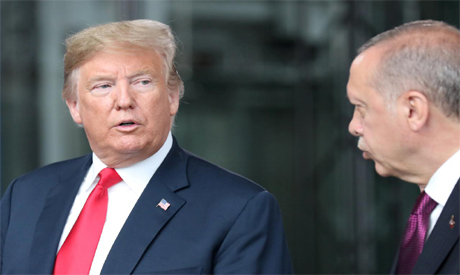 Erdogan has vowed to crush it in the wake of Trump's decision to pull U.S. troops out of the region. An official from the U.S.-backed Syrian Democratic Forces, a coalition of militias led by the YPG, said on Sunday Islamic State group were "living their final moments" in the last enclave they hold near the Iraqi border.